Every fall by my home we have a large art competition called ArtPrize. It draws tens of thousands of people and thousands of artists. For two weeks straight we can walk through our downtown area and view art work displayed inside and outside of buildings. Some are massive pieces, some are tiny pictures, and every viewer has the ability to vote on the each piece created. The field is narrowed down and a large cash prize awarded based on the public vote. Then there’s another vote and cash award given by a jury of “art experts”. This second set of awards by the “experts” was brought in quite simply because the art world didn’t want to be swayed by public opinion. Interesting, isn’t it? The public votes for one set of awards, the experts on another, and each one found a different winner. Each group saw beauty in different things. And I’m guessing if you and I walked the venues together we’d vote on different pieces too. This is so like the world. Each day voices ranging from the person you pass on the street to those given titles as experts in beauty tell us what is beautiful. They give weight and worth based on the newest opinion of what that is, yet they aren’t the one who created us. It’s like standing in front of a Jackson Pollock painting. You may see one thing in it, I might see another, but only the artist who created that masterpiece can title it. Only he can tell us what it truly is and why it was created. Only he can truly assign its worth. Oh, the experts will try, but no matter what they say or how much they value it, it won’t change the reason Pollock created that painting or what he envisioned when he did. Our lives are no different. We’ll encounter people who try and measure our worth, but only the One who created us truly knows what that is, and what does He call us? A masterpiece. 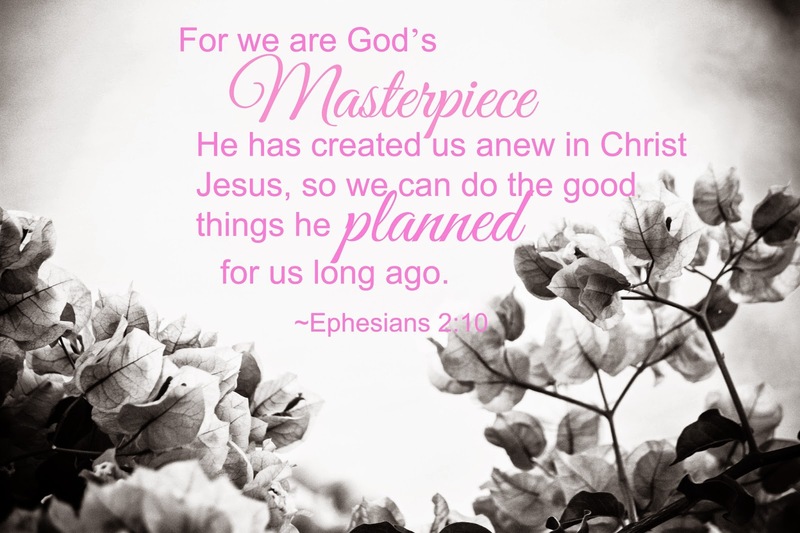 Created with a purpose, with plans already in place that he created us to do. It doesn’t matter what the person beside us says, our worth is not in them. It doesn’t matter what the world’s new definition of beauty is, because it’s not found in them. All that matters is what God said the moment he envisioned us in His mind’s eye and created us. Let’s act like it today. Lord, help us to see what you saw when you drew us into existence; a masterpiece unparalleled by any other creation. Allow us to see the beauty of each part of our bodies. Help us build our worth in you and to discover the talents you’ve given us, appreciating them whether the world deems them big or small. Let our value rest in you and you alone. Amen.